Lady Camellia is deliciously simple, but intriguingly complex. She’s blooming with refreshment, combining herbal notes with floral brilliance to satisfy any palate. But hey, a lady never tells all her secrets. Shop blu's full Salt of the Earth nic salt juice range here. You know what you’re getting with Salt of the Earth, so you can always rely on each vape being as consistent as the next. Crafted by blu, these liquids are authentic and dependable. For us, each flavor has personality and represents a time or place in our minds, and our palates. Blended with nicotine salt, every vape is as satisfyingly smooth as the next, and right there by your side - as you, do you. 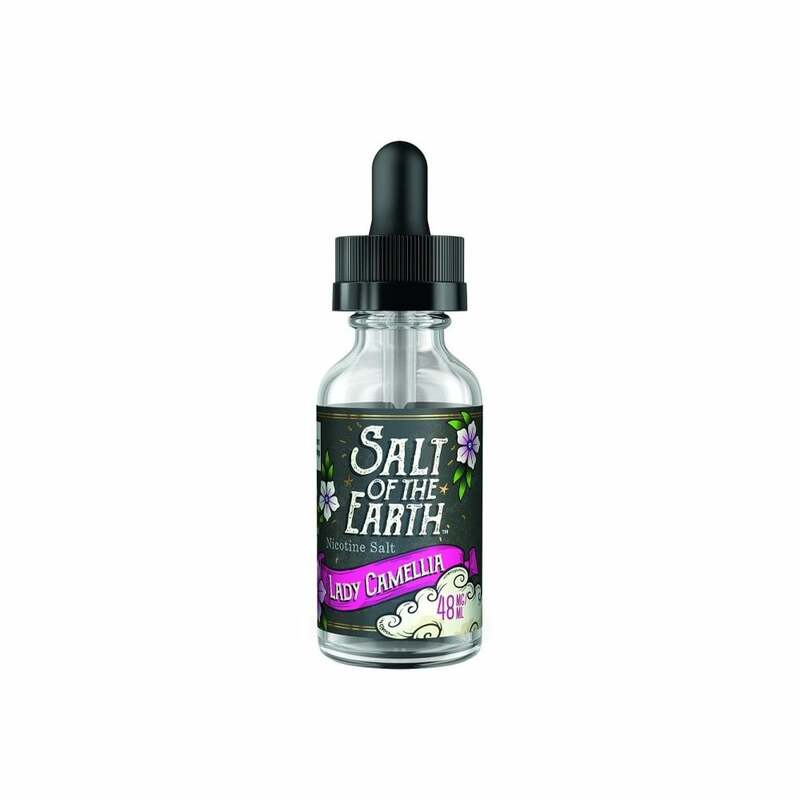 This is the best Saltnic juice I've ever had, a local shop has been searching for a vape juice I would like, they let me try some of this and its PERFECTION. I'm very very picky, and this minty floral flavor isn't too sweet, almost like tea with the tiniest drop of honey. Very nice, like a floral tea with a hint of mint. Very light taste. Not bad, not great. Tastes like a tea with a hint of mint to me.